I am graduating from Azusa Pacific University with my Bachelor's of Science in Nursing. I am working as a CNA at CHOC and am currently applying for RN jobs, hopefully in Pediatrics! I joined the Medical Academy at Esperanza High School because I always knew that something in the medical field interested me. This program greatly influenced me as a person and a future health care provider. Familiarity with the basic skills and terms gave me a huge advantage when entering nursing school. I also think that being in classes dedicated to a certain field of study was extremely helpful for my personal growth throughout my high school years- it kept me motivated, as I had a goal that I was striving for in ultimately becoming a nurse. This program also helped me grow professionally: giving me the tools and training I needed to succeed, like composing a resume and interview skills. I could not talk about this amazing program without mentioning Mrs. Easton. She is the perfect person to be teaching these students. She not only taught the content, but she helped me succeed. She saw me, called out the potential she saw in me, and pushed me to strive toward a career goal. She instilled in me the confidence that I needed to succeed through nursing school. 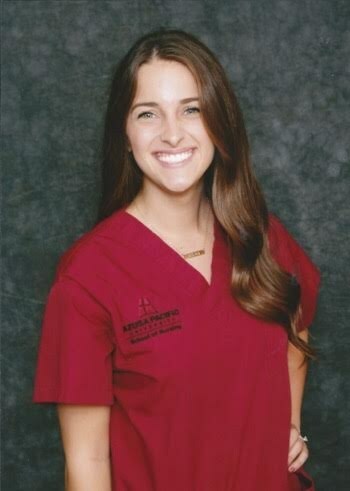 I am now graduating from Azusa Pacific University with my Bachelor’s of Science in Nursing, and I have Esperanza’s Medical Academy and Mrs. Easton to thank for the great honor of becoming a nurse!